Many homeowners aren’t aware that regular, professional drain cleaning services should be part of the home maintenance routine. If you have been skipping drain and pipe cleaning regularly, then you may be surprised to learn about the benefits. 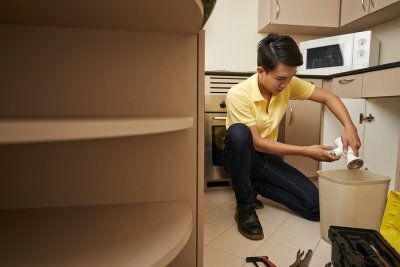 Professional drain cleaner services in Elmhurst, IL can improve the functioning of your plumbing and help you avoid major issues in the future. Here is what you need to know. Over time, blockages can build up in drains and pipes that haven’t been cleaned regularly. Although small blockages, such as slow drains in the shower caused by hair, may be easy to fix on your own, a more serious blockage could be developing inside of your drain pipes that could cause serious sewer problems. When that occurs, all of the drains in your home may clog, water may spurt out of your drains when you flush the toilet, and eventually, and overflow or burst pipes can cause significant damage to your home. Without the periodic service of a professional drain cleaner, mold and bacteria will accumulate in your drains and cause odors. The flow of water through the drains and pipes from normal usage is not sufficient to clean away the odor-causing particles, which thrive in the damp, dark environment of your drains and pipes. These bacteria and mold can even make your family sick if they grow in large enough numbers. Regular drain cleaning will remove them completely, preventing odors and the potential for illness. When drains and pipes aren’t cleaned, small blockages turn into large ones, pipes can become corroded, and backflow can occur from your toilet. The water that will spill into your home if this occurs is waste water which not only causes water damage, but also allows dangerous bacteria to seep into your walls and flooring. To repair this kind of damage, all of the affected areas must typically be removed, which can be extremely costly and time consuming.